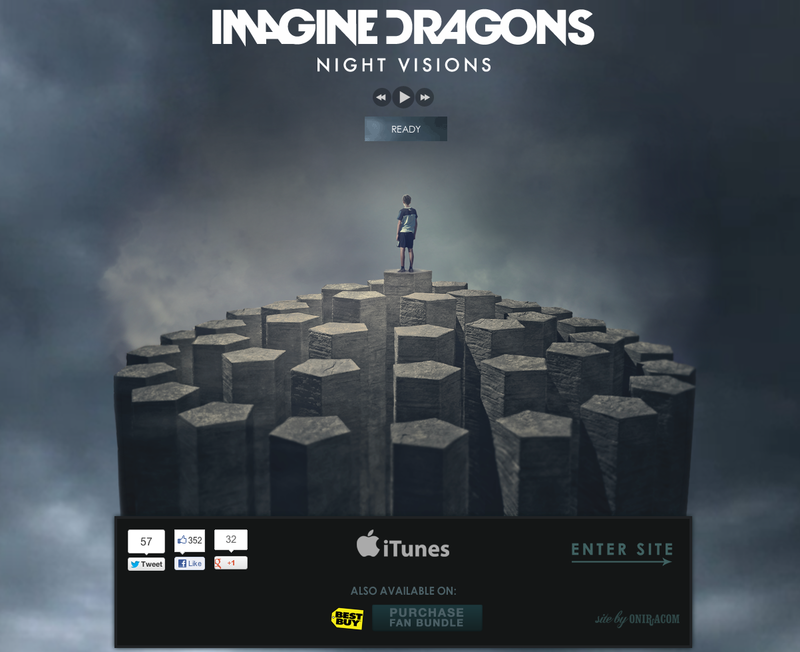 Interscope Records came to Oniracom to develop a custom album release splash page for Imagine Dragons. The website features a custom SoundCloud player integrated into the album artwork on the website. The design also incorporates an HTML5 video animation in the website background. This red hot record release debuted at #2 on the Billboard Top 200 album charts.